In this era of smartphones and Smart TV, these smart goals are up for your grab. These are not just the extended version of goals. 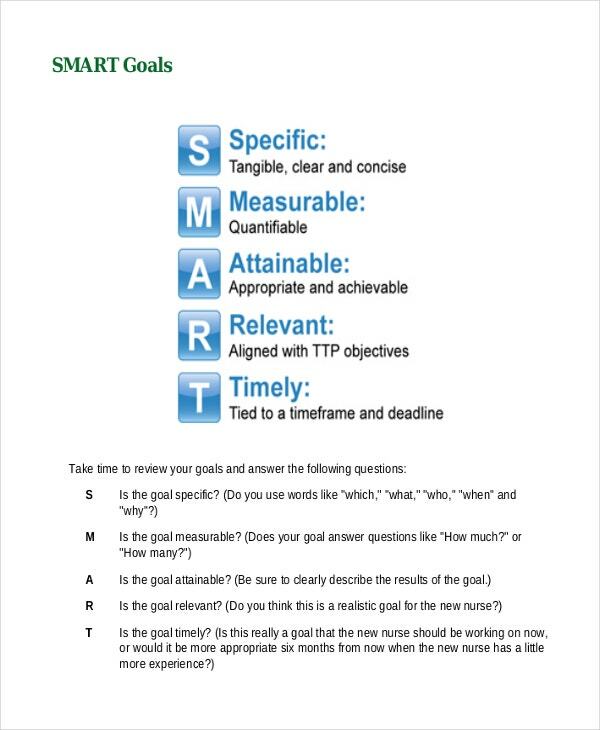 Smart goals refer to the acronym that indicates Specific, Measurable, Achievable, Realistic, and Timely goals. Below are some smart goals for people from various walks of life. Don’t you have any personal goals and hence copying them from others? Absolutely wrong way. Because someone else’s goals can never be yours? You need to create your own set of goals based on your priorities. But how? Don’t worry. This Personal Smart Goals Example will help you. 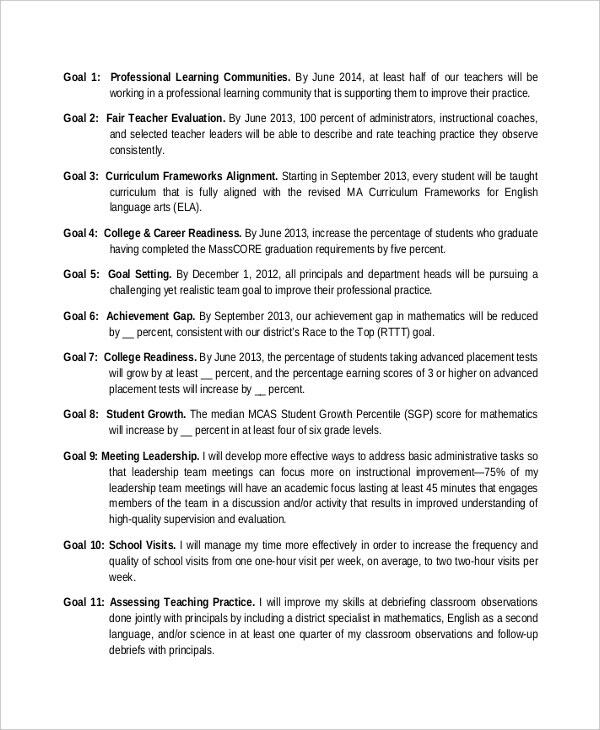 You may also see goal setting worksheet templates. Teaching is a lifelong art that involves continuous learning. As a teacher, you should practice what you preach. If you are a teacher and teaching your students how to be smart? Then this should be a good way to set your own smart goals. 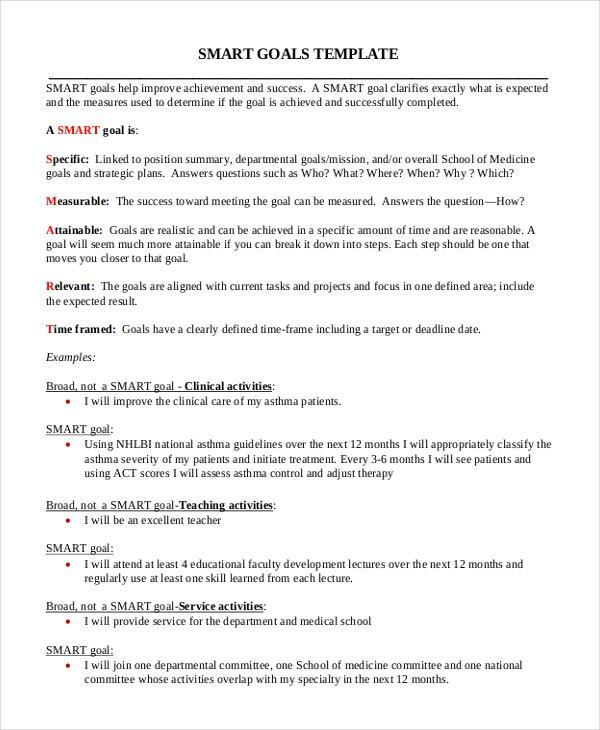 Check with this Teacher Smart Goals Example. You may also see goal tracking templates. Applying smart goals to personal finance is an awesome idea. 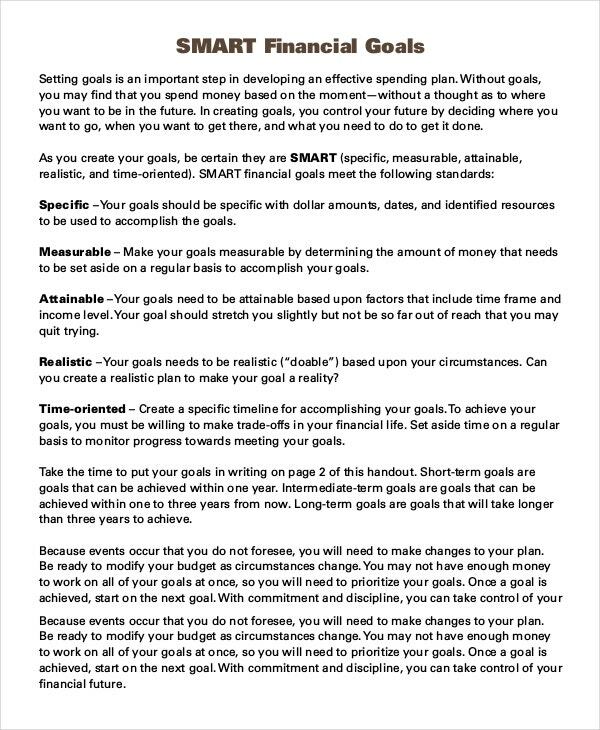 This Financial Smart Goals Example here will help you not only define your financial smart goals, but it will also show you the way to fix them. You may also see goal chart templates. Are you a minority nurse? What makes you choose the path? Then what kind of legacy and impact do you want to leave at the end of your career? Which criteria makes you happy? Download this example and set your goals right. You may also see goal tracking templates. Being an Administrator involves a lot of responsibility. One need to be accountable for the whole team, and needs to pay for any pitfall that happens on the floor. 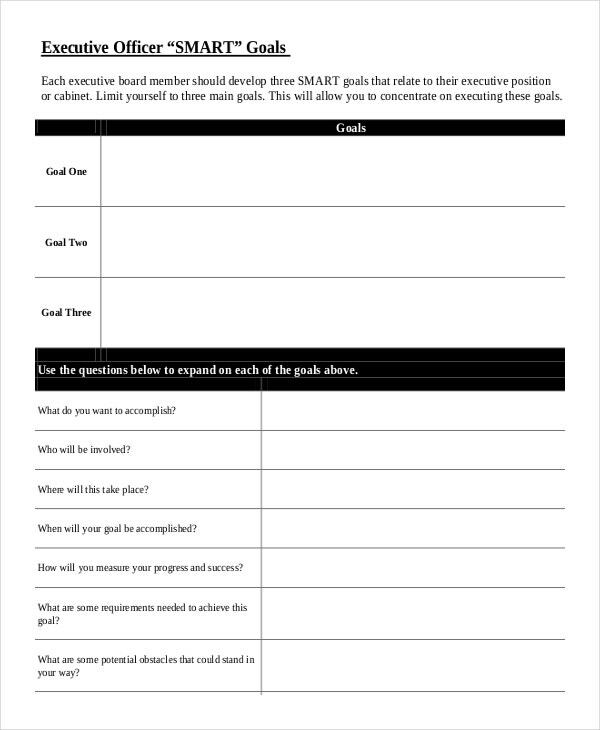 This administrative smart goals will help you prioritize you goals and stick to it as well! 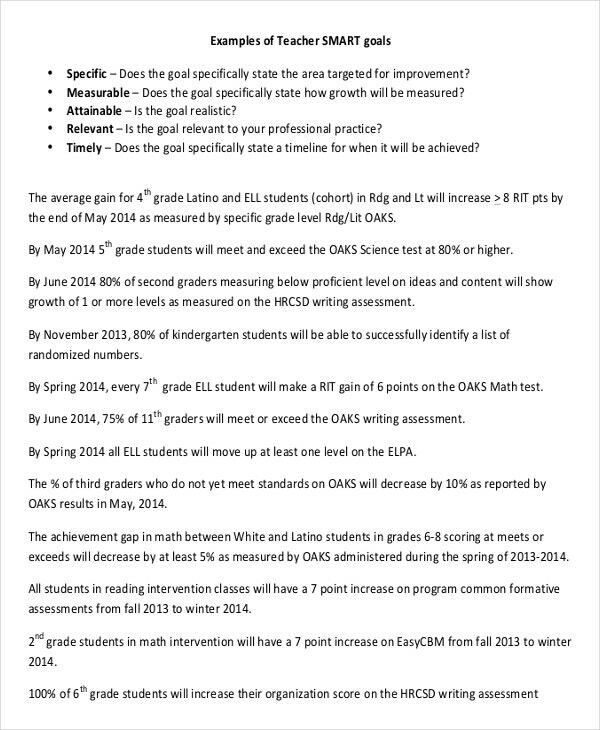 You may also see goal setting worksheet templates. Though setting up the goals and working towards them is a practice which corporate perfect in, smart goals will help achieve their goals with ease. Read this Corporate Smart Goals Example and get set to go. You may also see action plan to achieve your goal. Every professional will and must have some professional goals. Whether they could be performance related or learning oriented. Some goals will require longer commitment and much hard work, apply this professional smart goals example to shorten the duration and lessen your effort. You may also see employee performance goals. Businesses of today cannot afford anything that delays the success, even by a minute. Here we have some really smart Business Smart Goals Example which you can implement to accelerate your business goals. 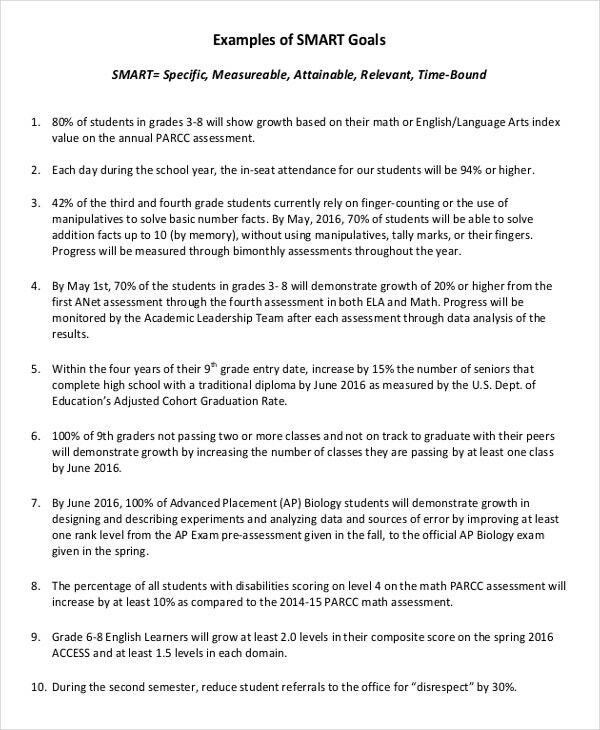 You may also see sample goal setting templates. Are you asked to develop smart goals that relate to your executive position or cabinet? Stop roaming around in search of a nice example. Rather concentrate on executing those goals. Because you are done in no time with these example. You may also see goal sheet templates. Is your current work environment so hectic that you will not find time to spend with your cat? Then the problem is with your planning. This Consultant Smart Goals will help you change your scheduling and achieve your long term and short term goals. You may also see goal planner templates. Are you getting out of shape? Then blame your workout schedules. Because they have failed you to motivate you enough to hit the gym. 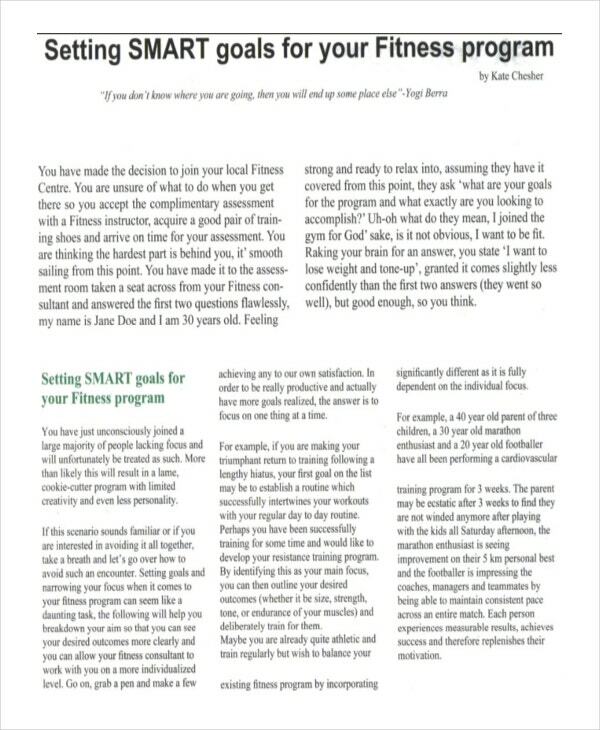 But that will not be the same with our Fitness Smart Goals Example. This action-oriented goals is just the way to burn that fat! > Why use Smart Goals? The evolution of technology has brought enormous changes in the nature of our lives. But with change, we also adapt. One of the best ways to adapt to this highly volatile and competitive world is to switch to smart goals. Because hard work can be replaced with smart work! 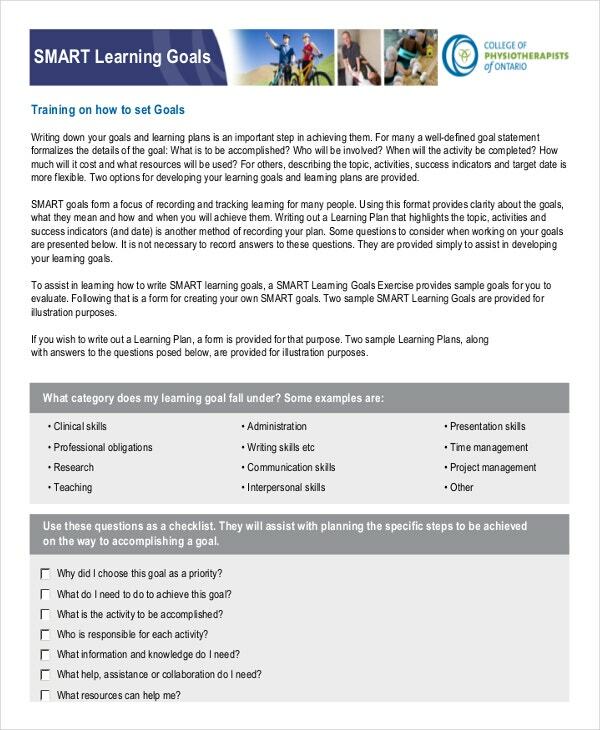 You may also see smart goal worksheet templates.